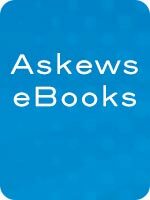 Askews is a free digital media platform which allows you to download eBooks. Askews strength is British writers and publishers. Avoid late fees - the items self expire. You can not check back in Askews titles early. Askews books can also be read using Bluefire Reader (iOS or Android) or Aldiko (Android). I need more help with my library eBook. Why does it take so long to log on to your eBook site?